It is nearly a year since I summitted Mount Kilimanjaro. The trip is something I will never forget. Not only did I climb the world's tallest freestanding mountain, but I also was able to meet people in the local community. You can read all about my trip here, including how we sat down and talked to Maasai women and visited two local primary schools. One of the schools (which lacks electricity and running water) had a special needs classroom. Unfortunately, the students have to sit on the floor as there are no tables and chairs. I committed to raise £420 and am currently at £250. I have held bake sales, sold crafts and solicited donations from friends and family to reach this point. 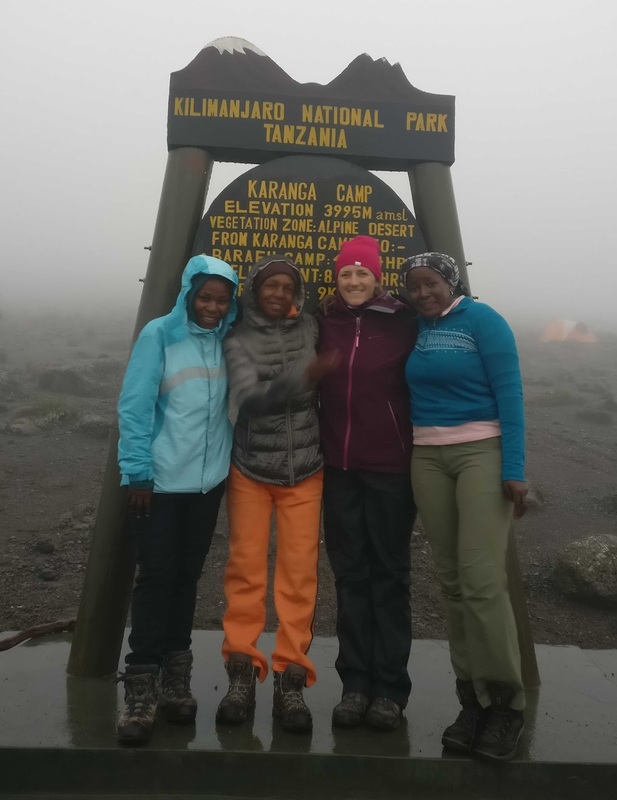 With a month to go until International Women's Day, I am having one more push to hit £420 (£1 for every kilometer to the top of Kilimanjaro). The head teacher estimated it would cost £95 for a desk and chair set. With your help, we can make a difference in the lives of the children. Here is a link to donate through PayPal. To be clear, this is not through an official charity. I will be sending the money to Eco-Africa Climbing, with whom I traveled with last year. They focus on sustainable tourism and supporting the local community (for example, part of our fees for our trip went towards buying cement to complete the installation of toilets at the primary school). Thanks from myself and the children for your support! I will post again when the school has purchased the desks and chairs so we can see the difference this small gesture has made.